In short, a third party beneficiary is a person who benefits from a contract that he or she does not sign (i.e. is not a part of the contract). A third party beneficiary can often even sue the original parties that signed the contract if the third party is an intended third party beneficiary, as opposed to an incidental third party beneficiary. So, how would this actually work? In determining whether a person can enforce his or her rights as an "intended" third party beneficiary, we must determine if and when those rights vested. To "vest"" means that the rights actually became enforceable by law. There are generally 3 different ways in which rights can vest by law, which include if the third party beneficiary has: (i) detrimentally relied on the promises made by the original parties to the contract; (ii) consented to the terms of the contract at the request of one of the original parties to the contract; or (iii) filed a lawsuit to enforce the terms of the contract. With that said, the two most common types of intended third party beneficiaries occur with gifts and creditor/debtor situations. Let’s go over a gift example to clarify how this might work. Here, Dad makes a contract with the Car Dealer to buy a new car for his daughter Lisa. 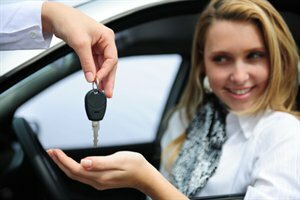 Dad agrees to pay $10,000 for the car and the Car Dealer agrees to deliver the car to Lisa. Now, Lisa is not a party to the contract. Lisa did not sign anything! Lisa is simply a third party beneficiary of the contract. The next question is whether Lisa is an "intended" third party beneficiary (where she would have rights to enforce the contract against the Car Dealer and/or Dad) or just an "incidental" third party beneficiary (where she would not have any rights to enforce the contract against the Car Dealer or Dad). In the real world, it’s often not so easy to determine whether someone is an intended or incidental third party beneficiary. Well, let’s assume that Lisa heard about this deal and sold her current car to a friend. Lisa also spent money on new accessories for the car that she thought she was going to get. Lisa took a weekend off of work in anticipation of receiving the new car that weekend. Plus, the Car Dealer and Dad informed her that she would be getting the car. Then, the car never came and the Car Dealership failed to bring the new car to Lisa. Here, it’s pretty obvious that Lisa relied to her detriment upon the contract created by the Car Dealer and Dad to get the new car. It’s very likely that Lisa was an "intended" third party beneficiary. So, she could likely sue the Car Dealer for not sending her the car. Of course, there are defenses that the original parties to the contract can make against a third party beneficiary who tries to enforce his or her rights. These defenses include (i) no actual contract was formed, (ii) lack of capacity, (iii) too late to bring the lawsuit (e.g. statute of frauds applies), and many other contract defenses. Please read assignment, delegation, and/or novation for more information on contract situations with third parties (i.e. a person not part of the original contract). If you understand how these different terms work, you’ll have a fairly good idea about how third parties’ rights and duties in contract situations. Contracts 101: What is a Contract, and How Does It Operate? Delegating Your Contractual Duties – What Does this Mean? © 2009-2019 ThinkingLegal, LLC. All rights reserved.